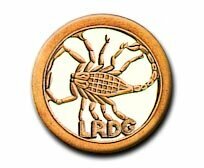 LRDG Sgt. (later Captain) Trevor Barker, the other pilot. 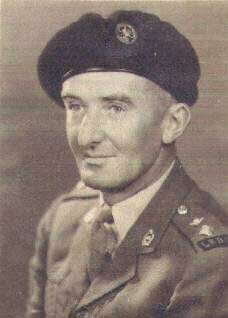 Special thanks to the LRDG Preservation Society for the photo and information on the second pilot. Some sources claim that Bagnold and Guy Prendergast were both commerical pilots before the war began but this is porbably incorrect. Lloyd Owen's first book details how Prendergast had to fly Bagnold back and forth from Kufra to Cairo. The other pilot along with Prendergast was New Zealander, Sgt R.F.T. (Trevor) Barker. 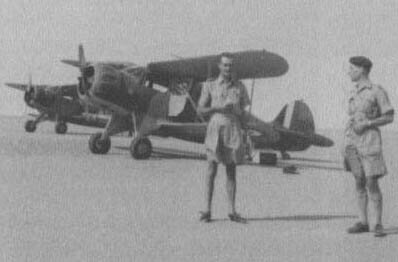 With the inception of the LRDG, Bagnold used his contacts in Cairo to procure two small biplanes from local businessmen. The planes were essentially commercially produced WACOs (Produced by the Weaver Aircraft Company of Ohio). The planes were export versions of WACO cabin biplanes. The better known of the two planes was a ZGC-7 (RAF Serial No.AX695). The other was a YKC (RAF Serial No. AX697). The principle difference between the airplanes was the powerplant. The ZGC-7 used a 285 hp engine while the YKC employed a less powerful 225 hp engine. The YKC dated from 1934 the ZGC-7 from 1937. The principle use of these aircraft were to transport mission critical information, supplies, and personnel from GHQ to forward base camps. They could also be used for a limited resupplies of forwardly deployed personnel and medical evacuation. 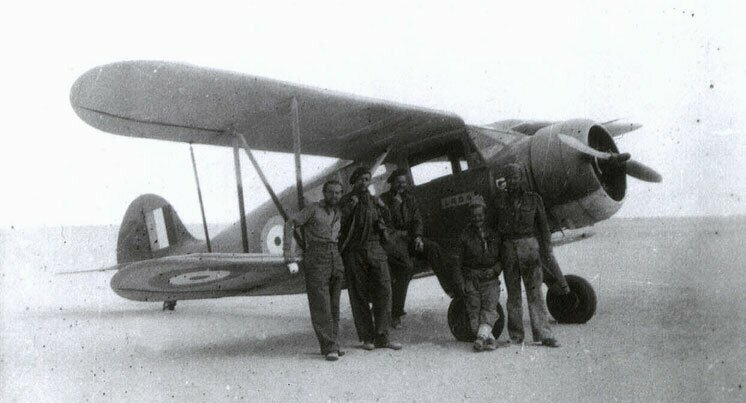 The WACOs were sturdy aircraft with the typical short take off and landing associated with biplanes, which made them ideally suited for the clandestine work of the LRDG. They also bore a slight resemblance to the Fiat CR42 Falco (Falcon) one of the last Italian Fighter biplanes which may have helped them avoid contact with German and Italian aircraft. The CR42 was used by Italy throughout the desert war primarily for ground-attack and reconnaissance. *According to Bagnold, in his book Sand, Wind & War, the planes had an operational range of 300 miles once they were prepared for use in desert. The WACO planes used by the LRDG were export derivatives of the WACO Cabin Biplanes, The YKC was a factory produced commercial design that was a follow-up to the WACO UIC. It went into production in 1934. The YKC was a luxury business aircraft employing and enclosed cabin entered through four automobile style doors. The front seats were two bucket style seats with complete instrumentation for a pilot and co-pilot. However the plane was controlled by one steering yoke, which could be shifted back and forth between the pilot and co-pilot. The back seat consisted of bench seat that spanned the entire width of the cabin. It could be removed if cargo, instead of passengers, was to be transported. The ZGC was a later up-engined version of a YKC. This engine difference is principally the only difference between the two aircraft, other than minor upgrades to the "C" series cabin planes . WACO used a a complex coding system when naming their planes. The first letter stood for the type of engine used for the plane. The Second letter stood for the type of airframe. The third letter stood for the series. "G" and "K" stood for the same basic airframe but relates to the minor upgrades and styling changes made between 1934 and 1937. "C" stands for the Cabin series biplane. Both the ZGC and YKC were from the same series as the earlier UIC WACO cabin planes dating from 1930 However in 1934, the "C" series which originally stood for all Cabin planes was divided into two categories. "C" series now meant a "Custom Cabin Biplane" whereas "S" was used for a "Standard Cabin Biplane" The C series had better instrumentation and was more luxuriously appointed than the Standard Cabin plane or the former UIC Wacos. The construction for the WACO cabin biplanes was typical for that era with welded steel tubing that was faired to a well-rounded shape by means of plywood formers and wood stringers. The wing was constructed of solid spruce spars with spruce and plywood ribs and aluminum leading and trailing edges. The tail assemblies were of welded steel tubing and the metal-framed ailerons were covered with aluminum. There were ailerons on both wings that were interconnected by push-pull struts that operated them in pairs. The main landing gear had oleo shock absorbers and the wheels were equipped with mechanical brakes. The tail landing gear was a fixed rear wheel. The entire airplane was covered with Grade A cotton fabric. The airplane was stable, with forgiving flight characteristics and moderate performance. This method of construction was used for both the YKC and ZGC-7.